What can a pre-nup do? A pre-nup is enforceable in the UK, although judges still have the discretion to ignore it, especially if it is considered to be unfair to any children of the marriage. So how could a pre-nup help save your marriage? There’s a saying that goes ‘money makes people funny.’ Different people have different attitudes to money, and that can cause arguments even among close family and friends. Money is the leading cause of stress in relationships – and that stress can sometimes strain a relationship to breaking point. That’s where a pre-nuptial agreement could help a marriage to last longer. With a pre-nup you have both clearly outlined your approach to handling your finances in advance. It will mean you’ve already agreed on many financial issues, such as if school fees should be paid and how any inheritance should be handled. And deciding these financial arrangements in advance could help prevent future arguments that could lead to a divorce. Is a pre-nup for you? You might feel that you don’t have enough money to warrent a pre-nup at the point of marrying, but who knows what the future may bring? A pre-nuptial agreement can also give you extra peace of mind if you have concerns over your partner’s debt. That’s because a ‘debt clause’ can be included to protect you from being liable for that debt. Yes. To comply with the law, a pre-nuptial agreement must be drawn up and signed by a qualified solicitor. There’s no ‘one-size fits all’ so it’s a good idea to speak to a specialist in family law. They will have the expert knowledge and understanding of this niche area to effectively meet your specific needs. In most cases a pre-nup will list all the assets of each partner and how they will be handled if a divorce was to happen. All assets and property must be fully disclosed and both parties will need to confirm that they voluntarily agree to it. You and your partner will both need to use separate solicitors, and it should be signed at least 28 days before the marriage. Your pre-nup can be changed at any time, as long as you both agree. 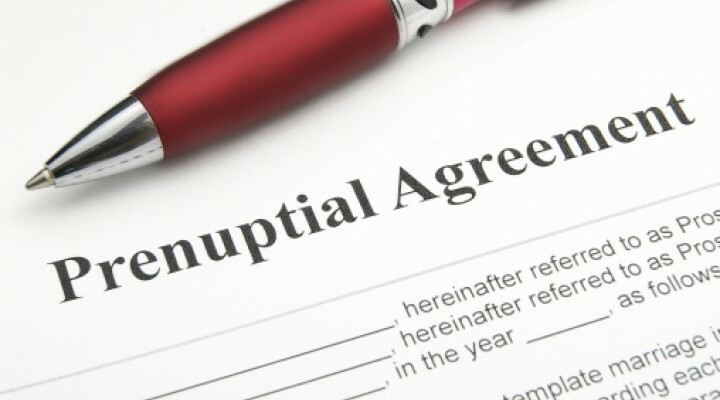 If you’re already married, you could also consider a post-nuptial agreement at any time. Please contact us for further help or advice in setting up a Pre-Nuptial Agreement or click here to find out more.